Lately, I started running my own URL shortener service because of Google URL shortener service is going to shut down. Below there is a short video showing how the service runs and also there is a Google Chrome extension which I created for integrating the service with the browser. Base URL is not the shortest one, but for my personal requirements, it’s more than enough. Service is in early stages, especially the extension. Expect errors, bugs, and unavailabilities. Service is open and free for everyone. But remember, the main purpose is my personal use. I know that pygmy has more features than I publish but I don’t need them and I don’t want to maintain those parts of the applications. I appreciate the effort of Amit for so good application. This is a chronology of my history using the Internet, and no-Internet, connections. I never thought this is going to be possible; currently, my Internet connection is faster than my local network. The best speed test that I’ve got so far is the one that you have in the attached screenshot using an old Dell Studio XPS with Linux Mint. 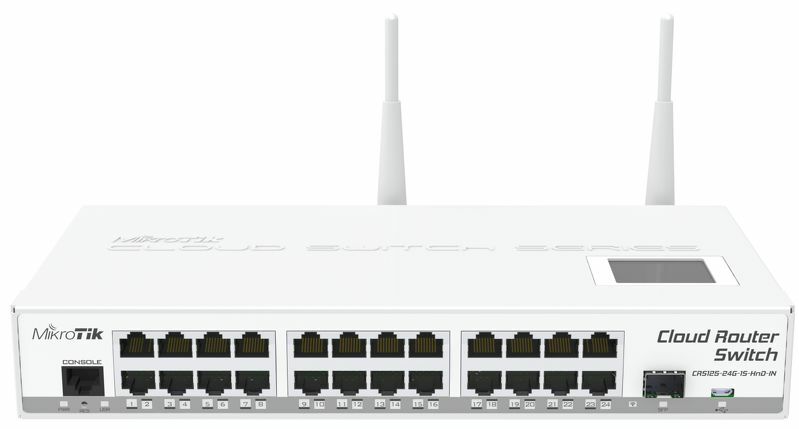 The paradox is that more modern computers get worst performance than this one and all of them synchronize the network card to 1Gbps with the Mikrotik CloudSwitch which acts like a gateway applying NAT rules before the fiber optic bridge. By the way, that news at home makes me spend some time remembering all the Internet connections I had at home since 1992. During Barcelona Olimpic games I was on Netherland with a holidays family trip in that trip we met a guy who told me how to connect two computers using a ham radio station, this technique is called packet radio. I was 15 and my life changed at that instant. The idea was using a radio station of 145MHz, or 433MHz (there were more frequencies but they are unusual) connect the speaker and mic of the radio station using an audio jack to a TNC (Terminal Node Control), or a Baycom, which are at the end of the day like a modem that converts analog audio signals to digital serial port signals. Using the serial port connected to the computer a terminal application was run for user interfacing with the network. 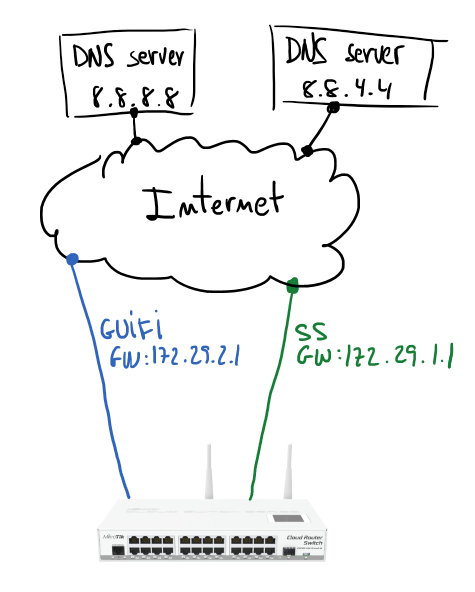 Protocol used for the WAN network was AX.25 a variant of X.25, used in the past on most ATM networks, the packet radio network had not only client stations, also BBS (Bulletin Board Systems), Weather Stations, email, FTP, nodes (repeaters), and gateways to other WAN networks like Fidonet, and Internet. How to get those resources without a searcher like Google, it’s another story. Exchange data was a nightmare, because communication was at a bandwidth of 1.200bps on a shared media, the air, using a simplex (half-duplex) communication. In plain words, this means to send a 10KB pictures could take an afternoon and usually, terminals weren’t multi-task so you had the computer busy doing that all the time. The first time that I run a browser was for Gopher service which inspired Web service at some point, I had two use two computers one of them running as TCP/IP to AX.25 gateway and the other with Windows 3.1 running Mosaic and using IP over parallel port (PLIP) for exchanging data with those two computers. Mosaic was the first graphical browser of the story as far as I know. Finally, I remember that I developed a small implementation of TCP/IP stack over AX.25 on an EPROM for a TNC, it was very basic but good enough for mapping ham radio IDs and TCP/IP addresses. BTW, my ham radio ID was EB3EWH. This part of the story lasted about 5 years, I remember the late 90s when good enough plain old telephone line (POTS) was installed at home and a super modern 9600bps telephonic modem which evolved very fast to different speeds up to 56K was the only option for connecting to the Internet. We used Infovía and Infovía plus a Telefonica service for getting data network instead of regular calls to the ISPs, really painful part of the story. Slow speeds also and really expensive services for what we get. Maybe the most fun thing about this part of the history was when someone at home pick up the phone and data connection was interrupted. Other roughly 5 years with this connectivity pattern. In the early 2000s, I installed an ISDN line at home with two 64kbps at home, on those was permanently connected to the Internet and the other one was available for voice calls. ISDN was a really interesting and very stable technology I’m out of the market currently but I think it’s still possible to buy links using so old technology. This part of the history was shorter than the previous ones and the funniest story was a thunderstorm and lighting day when the TR1 exploited in front of me I scared a lot. At the end of 2002 a 256Kbps ADSL was installed on top of a new POTS line installed again at home. It was like a dream, finally, I was navigating with broad bandwidth. ADSL speed up to 2Mbps it was impossible to improve the speed to higher speeds than that because I’m too far from any ADSL distribution point. I remember in 2012 I was paying for 6Mbps internet connection which was the smallest possible to hire and my maximum speed was 1.9Mbps measured with the proper equipment for quality lines test. In the end of 2013 I installed a WiFi link with a guy who re-sell fiber optics connection in Sant Sadurní d’Anoia using a link to the Ordal which is a mountain that I can view from home, about 10km link using 5GHz frequency. Speed was 6Mbps/300kbps. This link was active until two days ago, but since August of 2014 the main Internet connection was using another WiFi link with a company called XTA (Xarxa de Telecomunicacions Alternatives), a.k.a. WifiPenedes which is part of the Guifi.net project. This is the same company which installed fiber optics at home the day before yesterday at home. The WiFi link that I had with WifiPenedes was 20Mbps/1Mbps and currently, with the fiber optics I have 1Gbps/300Mbps and there is no backup link with any other technology. BTW, I have a 4G subscription which can be used for emergencies. Of course will be nice to go deeper with each of those points, finding anecdotes I lived with those 26 years of history connecting to wide area networks (WAN) maybe one day I’ll find the priority for sharing so amazing moments and people that I met thanks to those networks. If I have to admit that networking changed my life and I have had access to a broad knowledge thanks to that. Thank everyone and every company which makes this possible, it has been a pleasure to enjoy this fantastic processes. I finish accepting the challenge to improve my LAN for getting the best from my new Internet connection. Reading time: < 1 minute A long time ago there were several free dynamic DNS services but nowadays it's difficult to find one of them. And when you find the service usually you have some important restrictions like: number of updates per day or only few subdomains per account. But in the end I found a good free service of that, it's part of the project guifi.net and is called: Qui; you only need a guifi.net account to use the service and it’s really simple and clear. From my part the compatibility with “ddclient” and the “mikrotik” script are really useful and I want tu highlight this functionality. Reading time: < 1 minute Just a small recipe about how to enable linux kernel to open tons of concurrent connections. Really simple and useful post entry. Use concrete plural nouns when you are defining resources. Workaround, if your REST client doesn’t support HTTP methods, use a parameter called ‘method’ could be a good idea. For example, when you have to use a method HTTP PUT it could be changed by method HTTP GET and the parameter ‘method=put’ in the URL. Sweep complexity behind the ‘?’. Use URL parameters to filter or put some optional information to your request. Use HTTP response codes to refer error codes. You can find a list of HTTP response codes in Wikipedia. Workaround, if REST client doesn’t know how to capture HTTP error codes and raise up an error losing the control of the client, you can use HTTP response code 200 and put ‘response_code’ field in JSON response object. It’s a good idea use this feature as optional across URL parameter ‘supress_response_code=true’. Use HTTP header ‘Accept’ with proper format request in the answer, for example, ‘Accept: application/json’ when you want a JSON response. or, use extension ‘.json’ in URL request to get the response in JSON format. Sometimes APIs need to share actions. Then we can’t define an action with a noun, in this case use verb. Is common to need actions like: convert, translate, calculate, etc. Search inside a resource, in this case use parameters to apply filters. Search across multiple resource, here is useful to create the resource ‘search’. 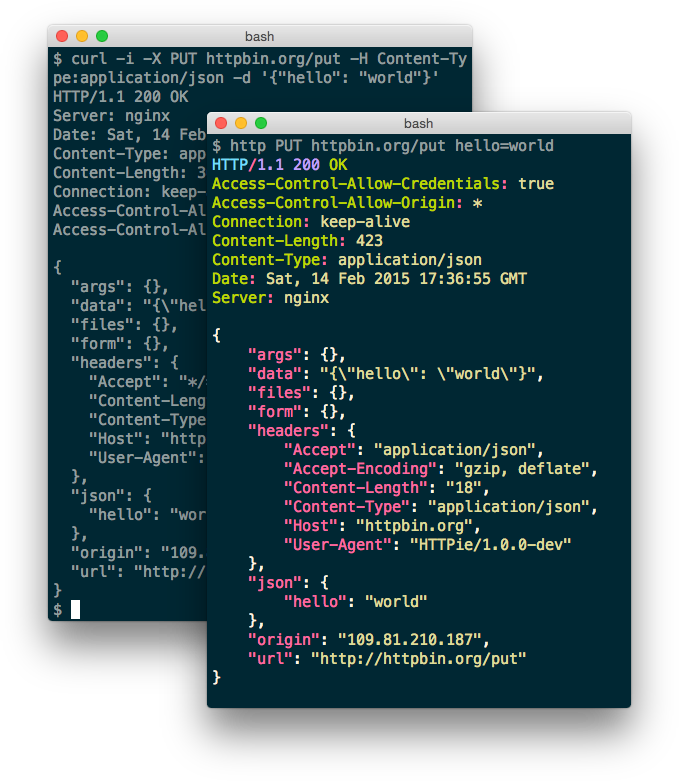 As far as you can use a single base URL for all API resources, something like this: ‘http://api.domain.tld’. To keep your API KISS usually it’s a good idea develop SDK in several languages, where you can put more high level features than in API. Inside an application each resource has its own API but it’s not a good idea publish it to the world, maybe use a virtual API in a layer above it’s more secure and powerful.